The lists of estrogen replacement therapy pros and cons are important to learn throughout the course of your treatment experience. It is good to be well educated on any medical plan in which you plan to partake for your physical, mental, emotional and sexual well being. Sticking to your prescription exactly as prescribed will definitely have a great effect on your pros and cons to estrogen replacement therapy. It will increase the pros, while decreasing the cons. As we love to tell you about the benefits of ERT, we must also educate you to the cons. For hormone therapy, different hormones can be prescribed at one time. This of course should only be done by a licensed doctor after he or she has analyzed the patient’s blood work, physical exam results and medical history results. With a mixture of medications can come estrogen/progestin therapy pros and cons, for instance. As you may experience both pros and cons of estrogen therapy for menopause or just the normal process of aging, it is important to know what to expect. None of these side effects from the medications should ever be ignored. If you experience any of them, you should call us as soon as possible and share the information with your clinical advisor. Some side effects may be mild and you may not think them to be a problem; however, using the medication again could cause more serious problems the second time. Always share what is going on with your advisor, whether big or small. Allow them to decide what is best for you by consulting with the doctor who is medically supervising your experience. It is always better to be safe than to be sorry. If more serious issues occur due to an allergic reaction, contact 911 immediately or go to your nearest emergency room. 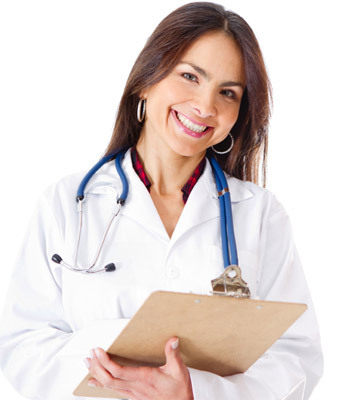 Our doctors prescribe estrogen medications as accurately and as carefully as possible. However, as with any new medication, there is still room for possible allergies that cannot be predicted beforehand. Learning about all of the estrogen pros and cons of taking injections will put you in a better position to have a wonderful ERT experience. Knowing what to expect throughout therapy can give you a greater sense of confidence and trust in the process. We do not want you to worry and go out of your way to look for negative reactions to your injectable medications. Our purpose for wanting you to have knowledge about the estrogen replacement therapy pros and cons is to make you an educated consumer. This will help you to become a better and more useful part of the team that will help you to rid of your symptoms caused from low estrogen due to aging. Lastly, take care of yourself while you are participating in ERT. This means paying attention to your daily habits. Do you eat healthy and nutritious foods? Do you exercise daily bringing your heart rate up appropriately? Do you sleep enough hours per evening? Do you keep your stress levels low by controlling how you deal with the daily difficulties of life? Do you refrain from smoking? If you drink alcoholic beverages, do you do so moderately? Taking care of yourself and treating your body and mind well will have a great impact on how you age and how your hormones replenish themselves naturally. Living a healthy lifestyle is important for everyone, but it can help a person practicing ERT as well.